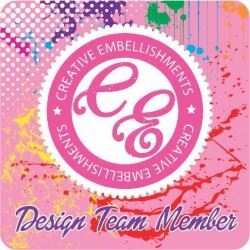 Did you know Spellbinders has a variety of monthly clubs? 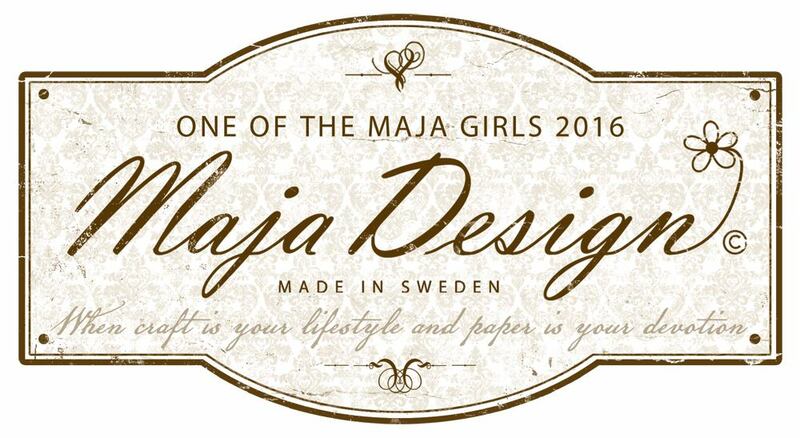 Yes it's true - from various monthly die options, to cards, stamps and the newest hot obsession, foil! 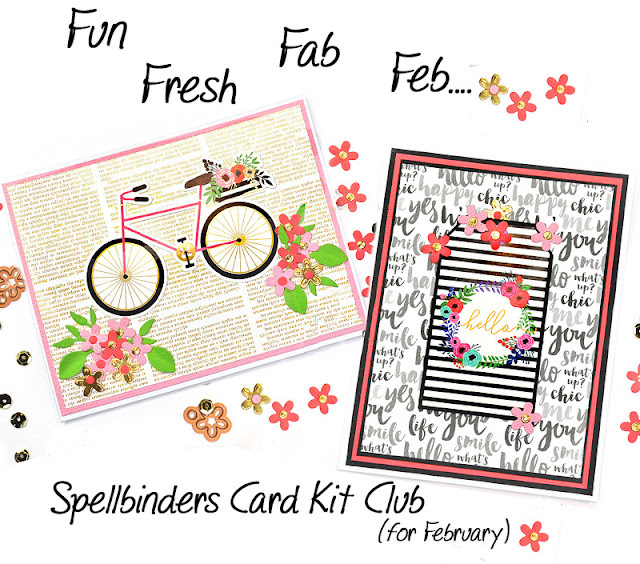 Today I am featuring the Spellbinders Card Club for February. It's packed with absolutely everything you need for DIY inspirational, fun and whimsical cards. Fun. Fab. Fresh. This month's kit has supplies to create cards for any occasion, with the perfect blend of feminine and masculine to cover anyone on your list. 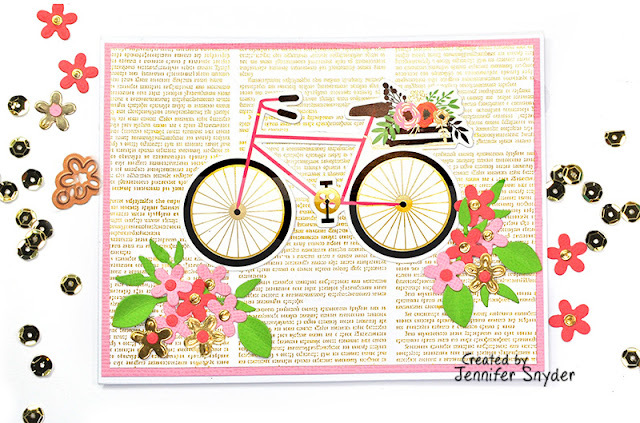 The kit provides that inspirational jump start to dazzle everyone with adorable, handmade greeting cards. DIY perfection. 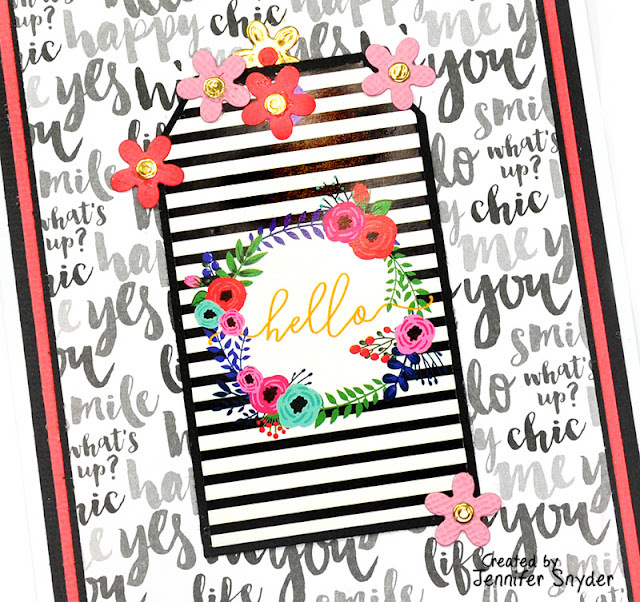 This first card is bright and cheery and is sure to bring a smile. 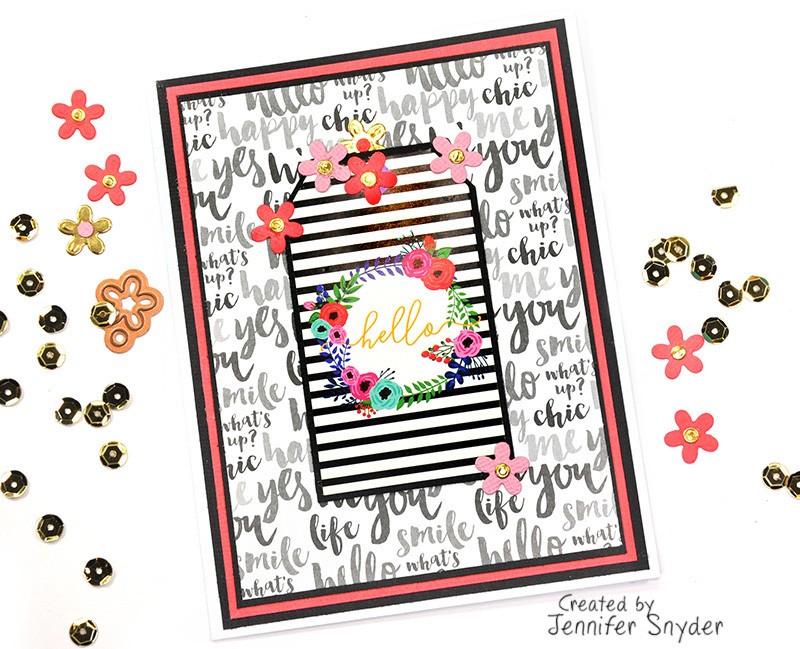 I am featuring the adorable flower die set that comes in the kit this month. 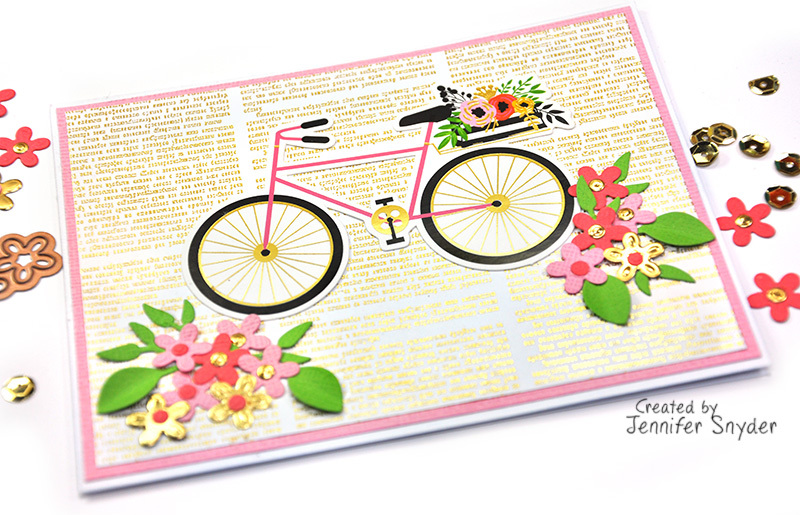 It adorns the bicycle diecut embellishment from the kit. Spellbinders sells some of the kit elements separately. Included in the Card kit box this month is a fun assortment of Card Club Kit Extras - like the bicycle diecut embellishment. Scroll down and I'll tell you a bit more about the extras and the kit. This is my second card - a bright bold "Hello" for someone special. Also accented with the darling flowers made from the die set in the kit. Below is a photo of the contents of the Spellbinders Card Club for February. Included in the Card kit box this month is a fun assortment of Card Club Kit Extras -all the embellishments you need to create sensational cards. 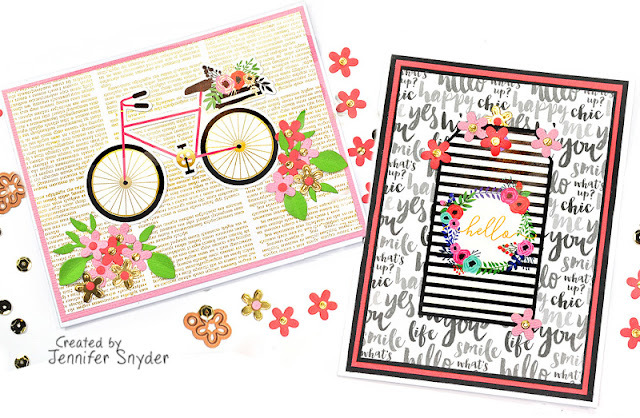 card kit extras/add-ons including the stamp set, inspirational stickers, paper pad, etc. Shop for additional "extras" and embellishments here. Here is a last look at the two cards together. You can see my theme for February is bold, bright, fun, fabulous.